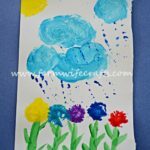 Mother’s Day is coming up and I have a simple and fun craft to make for all the special women in your life. 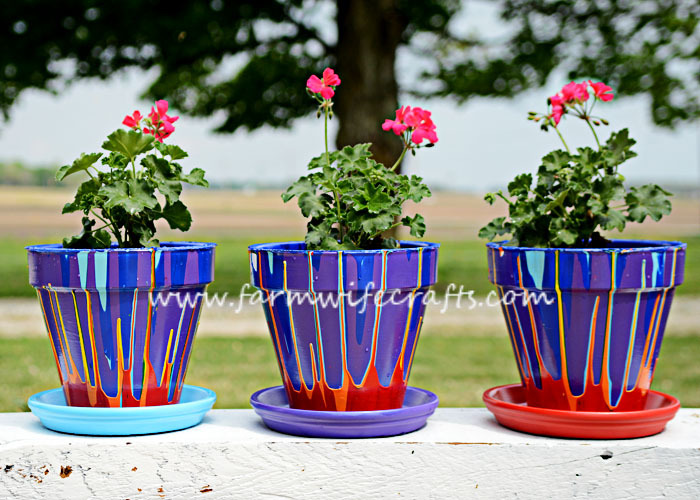 These Rainbow Flower Pots are sure to brighten their day. 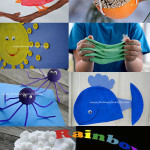 For Mother’s Day we usually make something homemade, or something flower related. 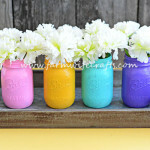 These Rainbow Flower Pots combine both and I absolutely love how they turned out. Cover the surface with parchment paper. A LOT of parchment paper as the paint will drip a lot. 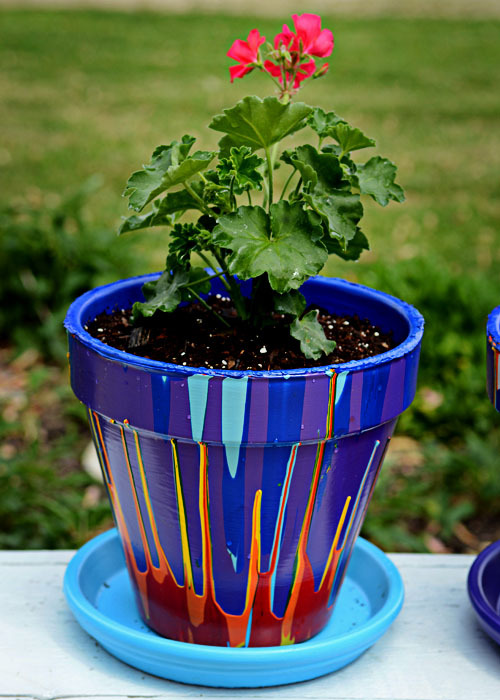 Paint the flower pot white and allow it to dry. 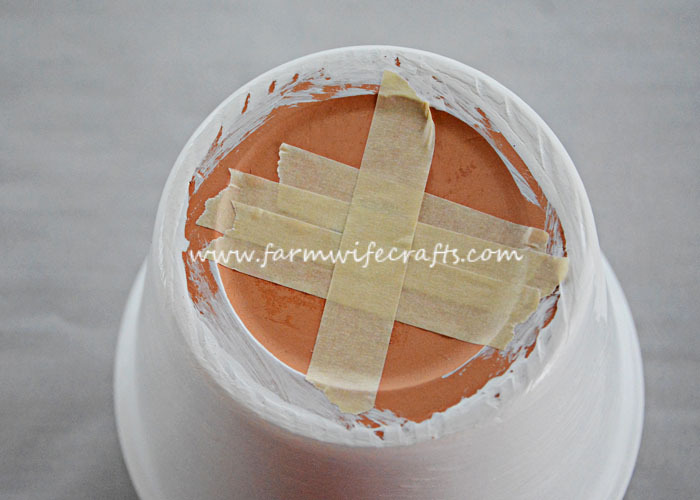 Once the paint is dry, cover the drainage hole with masking tape. Now, the fun part! Start adding all the pretty colors. We added way to much paint…I’ll talk about that in a bit. 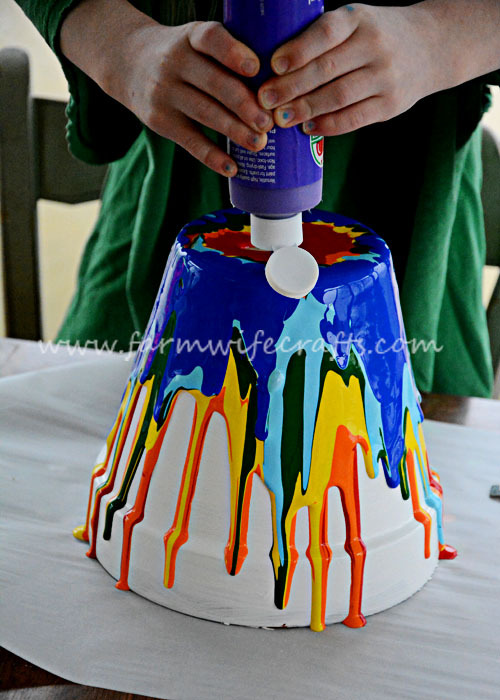 Apply the paint along the bottom rim of the pot and let it drip, drip, drip down the sides. Repeat this step with each additional color. We actually added way too much paint to ours. So much that our pots ended up being purple instead of some white showing. Since purple was the last color we added, you couldn’t see any of the other colors, so we had to repeat the process. I still love how they turned out, but it doesn’t take as much paint as you think it might….I guess you could say, I learned that the hard way. Let the paint dry completely. We actually let it dry for several days. Paint the saucers whichever color you wish. We chose to paint each one a different color. 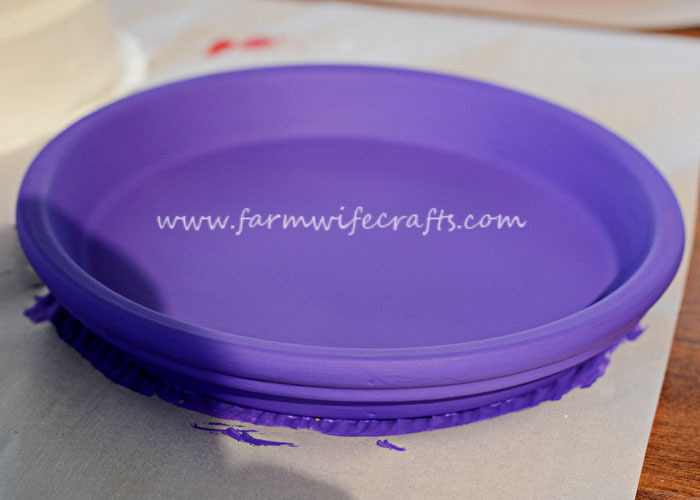 Once the saucer and pot are completely dry, spray them with acrylic sealer so they can be displayed outside. 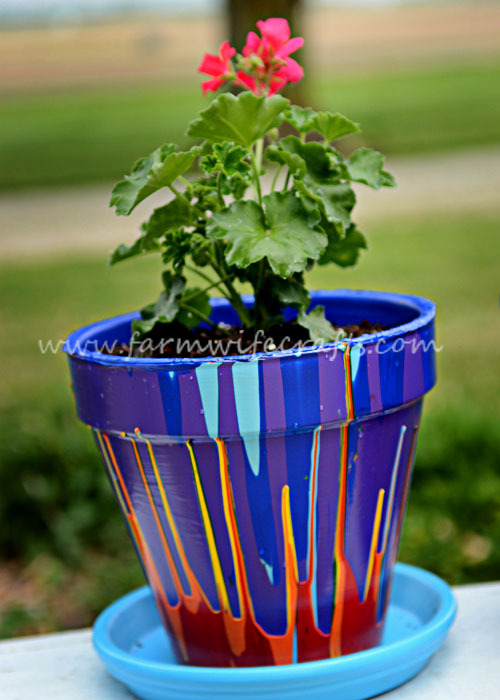 After the acrylic sealer is dry, remove the masking tape and you are ready to plant the flowers! We planted a pink geranium in each one. Give the plant a little bit of water and they are ready to be delivered! 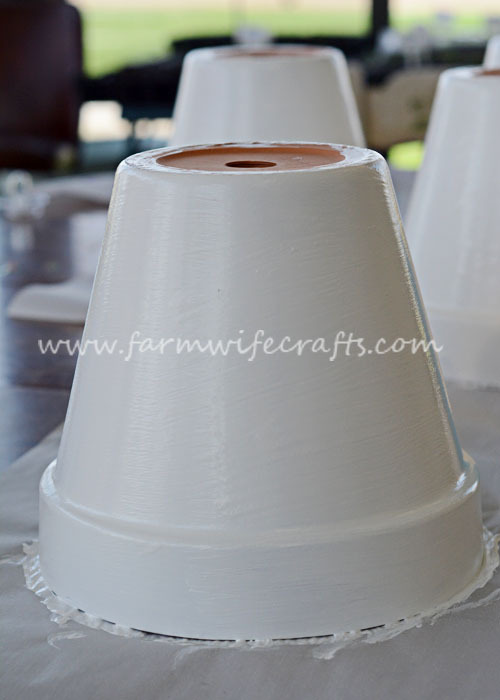 Paint each pot white and let dry. When the white paint is dry, place masking tape over the drainage hole. 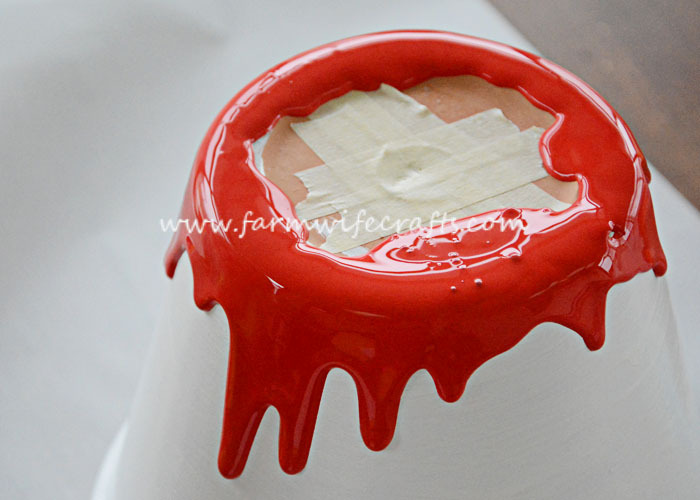 Apply some paint to the bottom edge of the pot and let it drip down the sides. 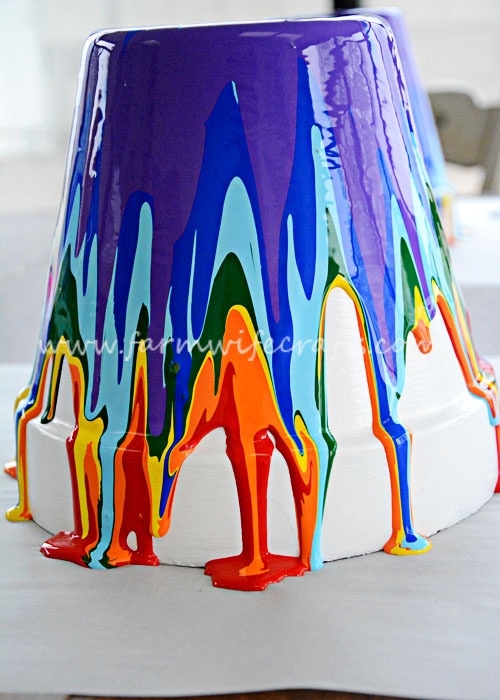 Let the paint drips dry completely. Paint the saucers and let dry. 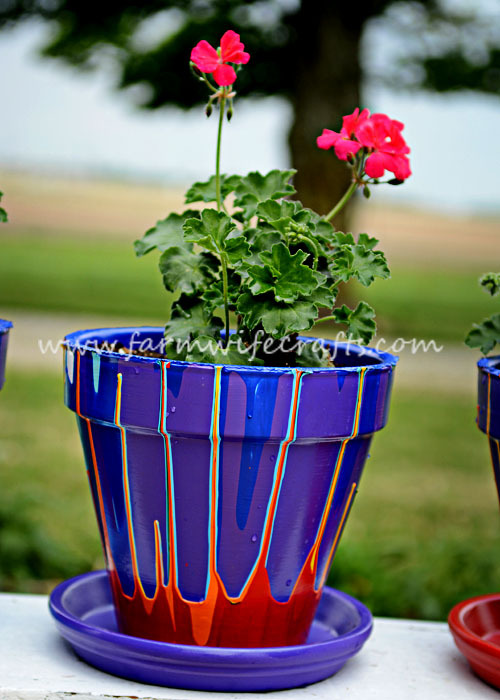 Once the paint on the flower pot and saucer is dry, spray with acrylic sealer and let that dry.